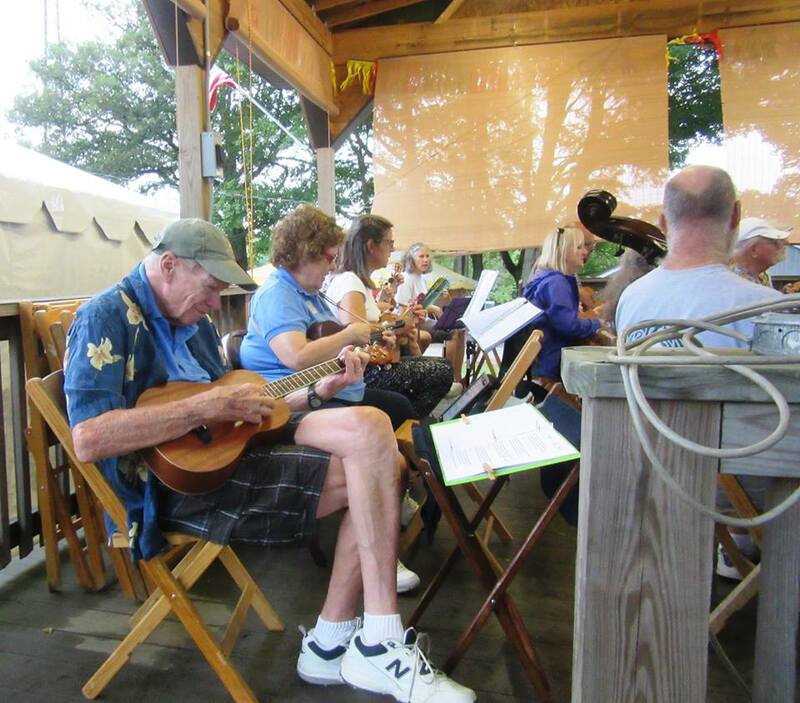 NWPA Ukuleles at the Crawford County Fair. 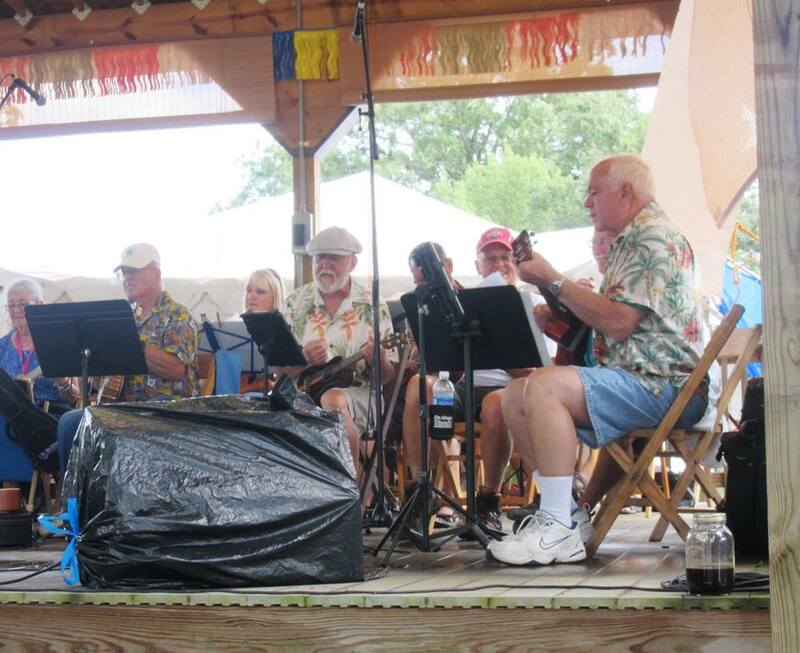 In spite of high winds and thunderstorms the Ukes played on the West End Stage at the Crawford County Fair on Tuesday, August 22. 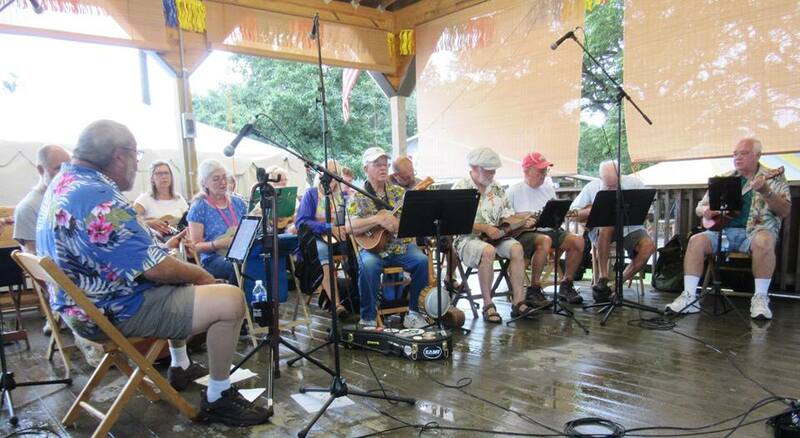 Other groups bowed out or got rained out but the stalwart ukulele players prevailed and had a bunch of fun, as always. 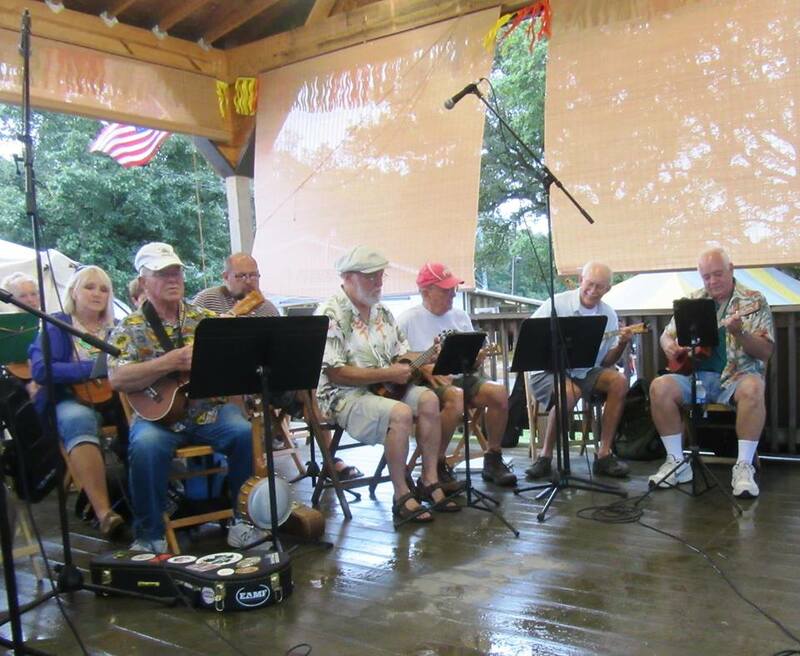 Our next general get together is on Wednesday, September 13, Hope to see you there. 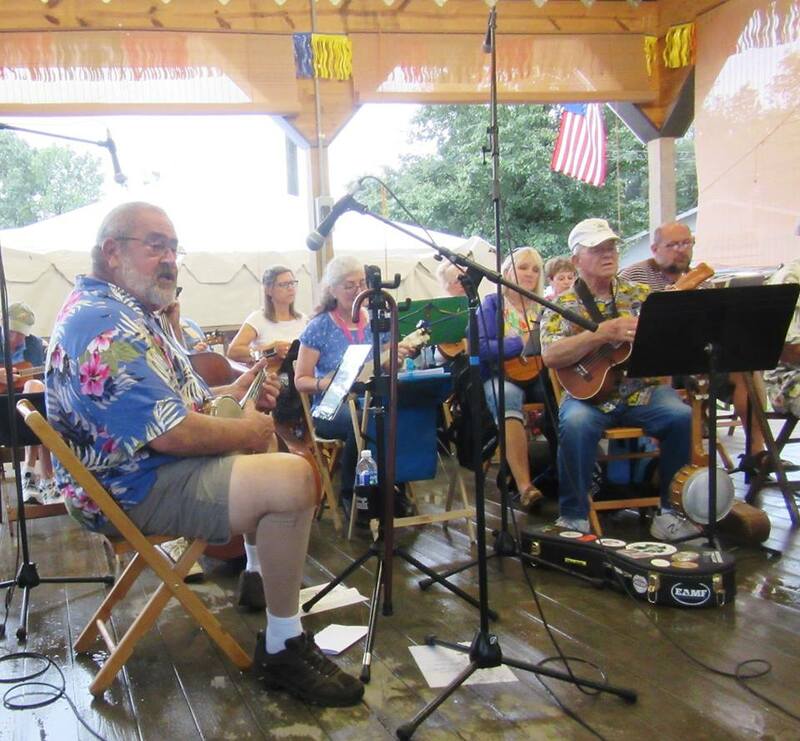 This entry was posted in Uncategorized on August 23, 2017 by drew6491.